Exactly two months from now, Hubby and I will be celebrating our secodn year anniversary and I'm thinking of a place on where we will be spending the occasion. Last year we went to Subic and now I'm thinking of another place where we've never been before but there are a lot to choose from. There's Caramoan/Camsur, Ilocandia, Bolinao Pangasinan or Tagaytay (we've been here a lot of times but it's the nearest romantic/adventure destination outside the Metro). If only we have a lot of budget for traveling I would deifinitely want to go in Palawan, Davao or in other Asian countries but let's face it economic crisis is not yet over so we have to maximize the money that we have for the time being. Okay, back to browsing and checking travel deals available for this year. Let's see if I can find something affordable and unforgettable destination for the two of us. A big part of the itinerary of my sister's vacation here in Manila will be looking for a house and lot that she can purchase for my parents. She shortlisted three properties all coming from the South area and she was asking me if I can accompany her during those visits. I told her that Monday will be the best time for property visits since it's a holiday and apart from that we can even check out some Home Furniture as well just to get an inspiration on what items she needs to buy once she decided to buy a home for them. This will be an exciting window shopping episode for both of us! Yey! My new domain blog got approved in four money making sites! Weee! I'm still waiting for the other three for their verdict. Hope it will be a good one. I've got to pick up the pieces where I left off. BER months is just around the corner and I have a lot of godchildren waiting for their gifts from me this Christmas season! 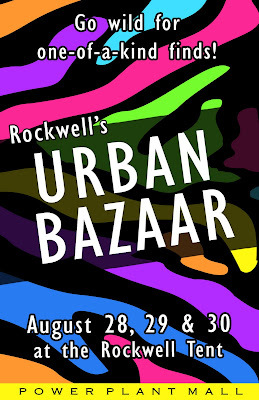 Maybe I will be lucky to find something affordable and unique items in Rockwell's Urban Bazaar this Saturday. I've got a pretty long list that I will be giving some presents to including the birthday parties and wedding events that I will be attending. Whew! BER months will surely keep my social life busy...hehehe. In a matter of hours I will be seeing my sister again! She's been away for almost 4 months due to work assignment and she will be having her one week vacation here in Manila. After her vacation she's bound back to China to continue her contract project. I missed having chats with her while strolling in the mall. I'm lucky to have her as a sister. We are different from each other (personality wise) but she's there when I needed an ally, an ear to listen to my rants and woes in life and another best friend which I can keep forever (sniff!). I've wanted to have my own mineral makeup since a good friend of mind raves about it last year. She's a personal user of Bare Escentuals and she had nothing but praises on the product. I was tempted to buy their starter kit whenever I got funds on my PayPal but the practical side of me always wins. 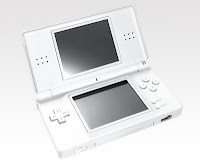 After all I can still buy it once our budget permits. But reading this ad on Bare Beauty Online website makes me want to forget my worries about budget and grab the opportunity of availing my own MMU! I was reasoning myself that it will be a good investment since I will be attending two weddings on December and one in April next year. Having the BE starter kit, I don't have to worry on dolling up my face for special and formal occasions. Bare Beauty Online is one of the few local distributors of Bare Escentuals in the Philippines and they will be participating this weekend in Rockwell's Urban Bazaar. They offer free shade consultation and free product sample on their booth! This piece of info got me excited and anticipates for the weekend more. Yesterday I was busy looking for companies who are looking for Cobol Trainees (entry level) when I stumbled on advertisement where the Asia Pacific College is offering free IT trainings in connection with TESDA Pangulong Gloria Scholarship (PGS) Program. When I called their number and spoke to Marvin, he told me that the training course for Java will start on September while the COBOL training is on October. I was not able to ask the training for RPG. I was initially thinking of encouraging Randiej to go with the COBOL training under APC since the syllabus is complete compared to the company whose providing his training at present. He told me before that the training will be an introduction and fundamentals of COBOL thus I wanted him to gain more knowledge about the programming language. After all, I don't have to worry on paying any fees since this is all for free. But yesterday he told me that their training might be extended from 35 days to 40 days. Not sure now if their training will have the same course outline as APC. If it does then I can have him take RPG & AS/400 in APC instead since COBOL and RPG are both mainframe programming language and are related to each other. The more technical skills he acquire, the better for him to have an edge in the IT field. Wish I could do the same for myself since I'm a Computer Science graduate but I can't give up my full-time work unless APC has evening classes which I can attend to. I just made a call a few minutes ago to Marvin and he told me that he will keep me informed when there's an update about my queries. I'm crossing my fingers for luck. Btw, for those interested to avail the training programs mentioned above, you can call the numbers 852.8117 or 851.5503 to 04 local 521. You can also send an email marvind@apc.edu.ph. That is for Hubby. It's been over a year and his having a hard time getting a job regardless of acquiring an AutoCAD certificate last year as an addition to his technical skills. It's not that employers don't want to hire him. The tricky points when he applies for a job are the years of experience and the type of industry where he worked. Believe it or not for Mechanical Engineers like him, most jobs available are for Middle East wanting to have 5 years or more experience in HVAC, Oil, Petroleum, Gas, Construction, Manufacturing and Steel industry which hubby doesn't have an experience thus finding a job is hard for him. Aside from that, he does not want to go back to a Mechanical Technician type of job especially when it comes to Heavy Equipment or Crane for that matter because he felt that his body is not up for the tedious work load plus the factor that we will be away from each other. So, the only option left is to try his hands in the IT field. 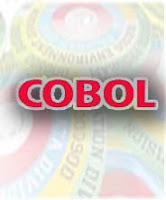 He was lucky that he got a slot for scholarship training for COBOL care of TESDA. The training course will run for 35 days Monday-Friday from 8am-2pm. He was interested in Java or Oracle but there are no available slots at the moment and time is ticking away thus he agreed to take COBOL. In preparation for next month when his training will be finish, I've listed down the companies that offer COBOL trainee position. I'm praying that our company will soon open one just like last year so I can pass his resume and hopefully he can get in. Somehow I see a spark that he can make it in IT. I hope this is the best field/career for him. Sorry I was not able to post much yesterday since I was busy with my other blog. It's up and running and of course I decided to have my own domain. Wow! It's a Venezuelan again who snagged the most coveted beauty pageant crown in the world. And she's only 18 years old. South American countries (or Spanish speaking countries) had always a better edge in winning beauty pageants whether it's a Miss Universe title, Miss World or Miss International. I was told before by a friend that in Venezuela, all their beauty pageant candidates had gone numerous trainings and self-improvement courses (does this includes physical enhancements?) in order to prep the ladies representing their country. No wonder they carry themselves on stage so well with poise and grace as if it's normal to walk on stage and strut your stuff. I'll just catch the replay of the pageant tomorrow in Studio 23. That will be my online racket as I have to start (it seems) from scratch. Since I had my own domain name, I have to gain traffic again for my blog before I can submit it to various paid sites so it can be approve. Apart from that, I actually made a mistake of getting a CSS capability for my Wordpress account. Yikes! Instead of getting my own domain, I mistakenly get the feature of having control in CSS settings in wordpress. Bummer! That's US$14.97 that gone out of the window of my Paypal account...Yikes! Just thinking about it, it makes me regret that move that I made. There's nothing to be blamed but myself for not reading the description carefully. 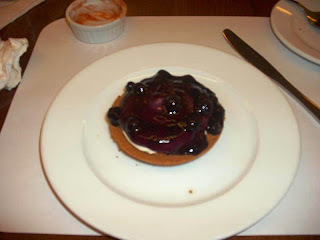 Well I actually had one but I'm thinking of discontinuing that blog since it's not all the time that I get to spend so much time in the kitchen cooking away. The past few days I've been lazy to cook that I always end up buying food outside. Thank goodness there's a cafeteria near our home where they served home cooked dishes. So I'm thinking of putting up another blog with no particular topic or theme in mind. If only I'm pregnant then for sure that will become my pregnancy blog but I'm not. Oh well, maybe another portion of my random life. 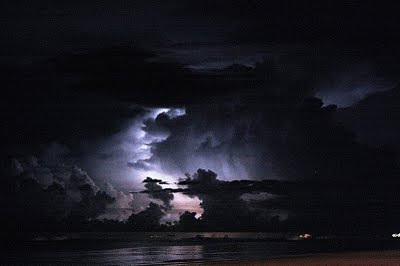 After all, life is full of suspense and mysteries that having one blog is not enough to put everything into writing right? I just hope that I will be diligent on putting my thoughts and telling stories on my soon-to-be-blog in the same way that I've been religious in updating this blog. 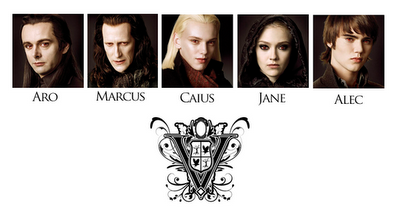 I forgot the website where I snagged this photo yesterday of the Volturi for the upcoming movie New Moon. Dakota Fanning (Jane) is all grown up and she's really blossoming into a pretty woman. Hope that she will not take the same road as Li-Lo did. Anyways, I can't wait for November to come! My blog has a new name now and soon I will try to change it's look as well but for now, its me who had a hair makeover last weekend. Well, not a complete overhaul but I decided to cut my hair again and it's shorter than before...hehehe. I love my new haircut! At first I was a little worried when I saw the length of hair that was cut in my head but once everything has been blow dried, I can't help but smile on my reflection on the mirror. Happy! Thanks to Ms. Wheng for her skills. She's the one who cut my hair and have it colored and treated at the same time. That was last March which is five months ago. Well I finally decided to use my own domain name :) It's ready since last week but I have to stall for a few days because of the "business" that I have to finish. Whew! Hope I can finish before 5pm...hehehe. Sigh! Maybe I spoke too soon earlier because right now Multiply is not accessible again in our computers! Argh! 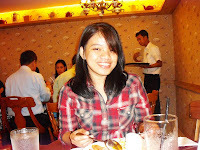 I was hoping that I can upload the photos that I've been meaning to put in my Multiply and Friendster account. Gosh! This will be another backlog on the things that I have to do because of the IT policy (?) of not using sites that are non-work related. How come others have an access? I'm sure those sites are not capable of issuing a ticket in order to resolve a technical problem here at the office so how come they have it on their intranet accounts. Well, well, well... I was surprised to see that multiply is no longer block here in the office (?). For the first time, I was able to sign-in without using a proxy server which is so freaking slow. This will surely keep me busy....hehehehe. Last August 6, I gave a treat to my former team mates in a bakery cafe named Mom and Tina's along Dela Rosa St. corner Perea St. in Makati. I've heard a lot of good reviews about them so I decided to make a reservation and try it out ourselves. The ambiance when you enter the cafe is very homey. Apart from that you will smell the aroma of baked goodies. They are couches and even dining tables that you usually see inside a home. Te wall paper and the lightning gives you a welcoming vibe that you will surely make you relax and enjoy their food. The bottomless drinks is Php 60 where as regular drinks cost Php 45. The cafe reserved us a table at the back of the store which is perfect because once we are together, it gets really noisy...hehehe. Best Seller ...and it is! Promise! We were all busy eating our own orders while chatting away. Of course, in between the chews, gulps and talks we always make it a point to have our pics taken. I was expecting another guest and she came when almost everyone is done eating their respective food. It's better to be late than never...Marj! She ordered Chicken Relleno with rice which cost Php 180. I ordered the same meal for Hubby for his dinner. Sorry I don't have a photo of that dish. Since the whole gang is present, we talk nonstop with lots of pictures taken. Oieyds and Con went to the front of the shop to purchase a "pasalubong". I was taken by surprise when they came back on our table singing happy birthday followed by Mon and Tina's staff holding cupcakes with a candle each for me to blow...Aww...so sweet of them. 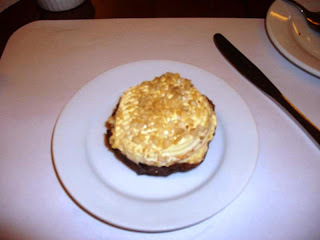 Mocha cupcake and Chocolate cupcake cost around Php 35-50 each. Thanks Ninch and Gi for your gifts, for others who don't have any I'm still waiting for the whole month of August...ahahaha! Thank you for making my post bday celebration extra special. Love you all! Mwahugs! I was happy when I get home and Hubby is surprised to see me early. He thought that I will be spending the wee hours of the night with my friends which happen most of the time. I was thinking of giving her a gift which she can use for her schooling. I'm debating between on a stephen joseph backpack or a stephen joseph quilted backpack. 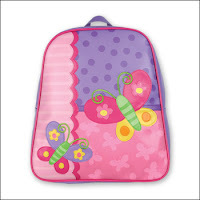 Both backpacks are cute and have different playful colors and designs to choose from. 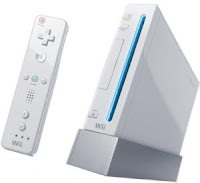 Over the years of organizing, you have developed a highly effective organizing system that in the future will bear your name in its pending patent. A clean desk and a finished to-do list by the end of the day is your Zen. Sharing your skills and techniques to your friends, colleagues and loved ones is a path that you have vowed to follow. Your closet is a testament to your OCness, your clothes are color coordinated according to the Pantone color system and arranged in the order of Seasons in the country, grouped by designers, then order of purchase, alphabetically. Your OC Pack must-haves are Post-it® Pop-up Notes, Highlighter with Flags or Pen with Flags and the oh-so-cute Arrow Flags. But chances are you already have all these inside your bag. Traveling from Tagaytay going thru SLEX via Sta. Rosa is pretty long. It was my first time to use that route since I'm most familiar with Carmona exit (which is not much of a difference come to think of it). I'm not sure how long we've been traveling. It can be 3 hours or more. Finally we arrived in Liliw Laguna. So happy that we did because I'm stiffed just sitting on a car. 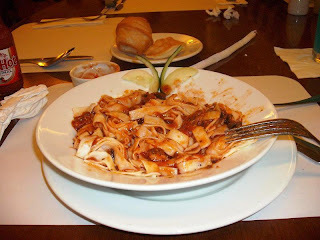 Rachel suggested that we should eat first in the famous eatery in Liliw Laguna which is Arabela because it closes early compared to the restos here in Manila. After eating our afternoon snacks/dinner then we can check out the shops in that area for footwear. It was 6pm then. 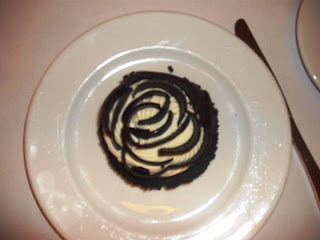 The meals and desserts are affordable by scanning their menu. 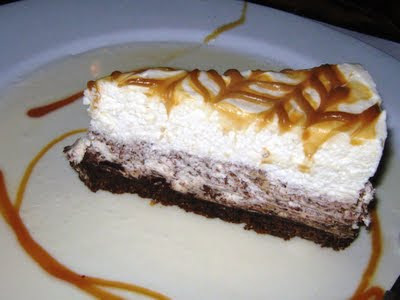 I'm still full from our lunch in Tagaytay so I ordered a Dulce de Leche Cheesecake which costs around Php 100-130 (forgot the exact price). Others ordered a (pesto) pasta, taco and a slice of blueberry cheesecake. 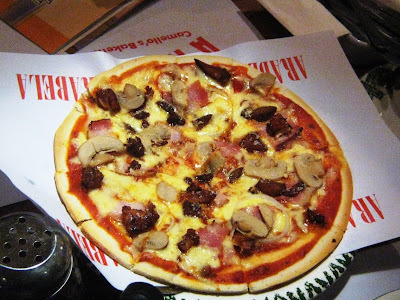 Rachel treated us to a medium-sized pizza which costs Php 200+. After eating our dinner, we had our last picture taking inside the cafe. Then I decided to borrow one of my friend's mobile phone since the Nokia phone that I brought finally went dead. I have to get in touch with Hubby and tell him that I will be coming home really late than he expected. I called his mobile number but nobody is answering. I was thinking that maybe his in front of the computer in the living room so I called the landline phone instead. My younger sister answered the phone and told me that Randiej is sleeping. I gave her instructions that once Randiej is awake tell him that I will be coming home late. After making a call, I decided to send a SMS so that Randiej will not worry about me. I told him that we are in Laguna and it's a long story why we ended up in that province. We paid our bill and headed out to the streets looking for shoe stores that are open. Most of them are already closed since it was drizzling. But we get a chance to drop by 5 stores and in one of them I ended up buying a flat sandals which costs Php 180/pair. I was eyeing another shoe on the previous shop but when we came back to check it again, it's closed. Obviously there is no reason for us to stay longer so we headed to Sta. Cruz Laguna where Rachel lives. We only stayed there for 15-20 minutes for we only used their bathroom before hitting the road again. This time, Rachel is no longer with us. She said that we can catch some van going back to Cavite in Calamba Terminal. We arrived in Calamba Terminal at 10pm and I decided to take a look first for any vans going to Cavite with Ella accompanying me. We asked one dispatcher in the terminal for shuttle vans going to Cavite and to my dismay he told us that there are no more vans going on that area. The last trip already took off. I relayed the news to everyone in the car. This is what I'm dreading about. 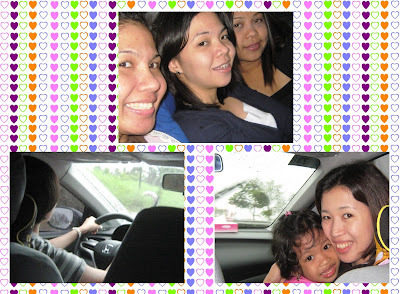 While Beth is driving away the car and hitting the SLEX we are coming up with options on how we can go back to Cavite. The only solution that I can find is dropping us in Tagaytay again where we can ride a bus along Aguinaldo Highway. SLEX exits like Carmona, Sta.Rosa and Biñan does not give any guarantee that there are public vehicles available. As much as I hated to prolong the journey and the driving, I told Beth about the only plan that I can think of. Knowing Beth she agreed though I knew that it will mean additional hours of driving. I can feel that as much as Beth wanted to hit the SLEX instead of going on exits she has no choice since JP and her daughter have to be safe going back home. Again, we trudge the Sta.Rosa exit. I can't offer any stories at this point or my other friends. JP and I are the only taking casually every once in awhile. Florence and Ella are asleep which is understandable considering the long hours of traveling. Once in Tagaytay, JP suggested to Beth that instead of going back to SLEX it will be better if they just take the route of Emilio Aguinaldo highway. It will be faster since there is definitely no traffic on the road. Beth agreed and so JP and I don't have to take a bus ride since our respective homes are along the way. I arrived at 11:30pm and Randiej is playing in the computer. I asked him if he already had his dinner and I'm glad that he did instead of waiting for me to arrive. He will surely get an ulcer if he did. I was completely worn out just by sitting in the car. 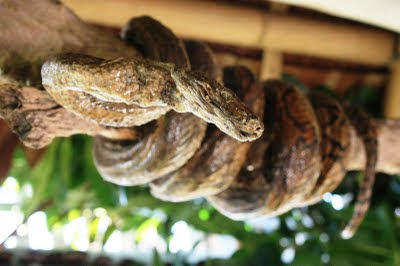 This is one experience I will never forget and I just hope that this will not happen again anytime soon....hehehe. Maybe next year but not this year. Sorry to post this story a little late. I was supposed to make this entry last August 3 but thanks to Globe Broadband intermittent connection in my Aunt's house I simply can't (update - turns out that the modem is the problem which Globe replaced just last week). 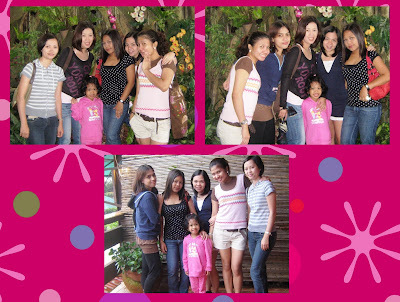 Last August 1 we decided to have our get together by having a road trip within Tagaytay. It's a sort of pre-celebration of my birthday as well. Since one of my college friends owned a car which she brought we have the luxury to tour around the city. My friend will be coming from QC so she designated my other friends where will be the pick-up points for them. As for me and Joan P (JP) we will be meeting in WalterMart Dasma and meet them in Olivarez Plaza in Tagaytay since we are only 30-45mins away. I was busy texting everyone making sure they are coordinated. To my dismay, my mobile phone suddenly went dead (battery empty) and s****d me, I didn't bring the charger. I brought an extra mobile phone which is Nokia but then there is a problem with its battery losing its charge easily. Hubby offered his mobile but for some weird reason, his mobile can't read (?) my sim. Reluctantly, I decided to bring the Nokia phone and used it for the time being praying that I don't have to use it most of the time on our Tagaytay tour. I was running late since Randiej wanted me to accompany him in the kitchen while he was eating breakfast. Sigh! We are late when me and JP meet them in Olivarez Plaza. All of them are busy inside the car eating cobcorn (Ella, Rachel, Florence and Beth). There's a drizzle outside so we hurriedly went in. JP brought her daughter along with her on the trip. Ella and Rachel told us that the itinerary for the day was change. Instead of touring Tagaytay we will be going to Liliw Laguna instead. I was baffled because as far as I know it is far (way way far) from Tagaytay. I was debating if I should make a protest and be the KJ in our group but bite back my tongue instead. I was thinking that all of them might want to go there (except for me) and be interested in buying slippers/sandals/shoes. First we stop by Pink Sisters to offer a brief prayer and submit our petitions. Once inside the church, the rain starts pouring hard. Good thing that we are all under the roof. So much for the thought of having our pictures taken in their garden. We waited for a few minutes before running back to the car. 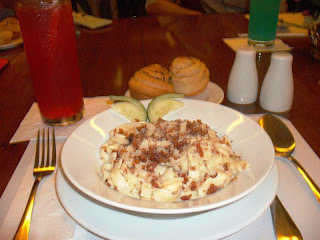 This time we went to RSM for our lunch. After our picture taking in the restroom (hehehe) we headed back to the car for our next location. And that is Liliw Laguna. I was apprehensive to join them because I knew that a lot of time will be wasted traveling but since knowing them, eventually I will heard a lot of protests and some guilty lines like it seldom happens that we are on a roadtrip or we are already here, why spoil the moment. So even there are doubts in my mind, I went ahead to their plan of going to Liliw Laguna. Due to the nonstop raining, Beth (who owns the car) had to drive carefully since there's a child on board and her car is only 4 months old. We exit in Sta. Rosa then into SLEX. I know it's been quiet (somehow) in my blog. I was swarmed with work and I'm having a hard time constructing my stories (mostly my birthday celebration) for the past days. I have three drafts in my blog that I have to finish and that's what I'm going to do today. Thankfully I'm done with my work load and right now all I have is free time in my hands which I can spend until five in the afternoon before I go home. Last Friday I was busy exchanging messages with fellow N@Wie and blogger Ethanmama for getting my own domain name. Thus I was not able to post some stories that happened to me since the start of this month (I have 3 drafts that I have to finish). Anyways, I was glad to check my email today and found out that I got my own domain name approved! Ethanmama suggested that I used 1and1 for acquiring a domain name since it's cheaper and based from her experience, so far her own domain blog is running smoothly so I hurriedly got their service. That was yesterday which is my birthday. The morning was spent watching the funeral mass of former Pres. Cory Aquino and cooking our lunch. The songs rendered by the artist on the mass were heartbreaking thus it made me cry. I felt that I was part of their family and I can relate to their pain and loneliness. What's more, the death of Mrs. Aquino reminded me of the death of my grandfather. The only difference is that he doesn't have cancer but he died while sleeping due to heart attack triggered by the side effect of the medicine his taking for his arthritis. Randiej already asked me to change the channel on the TV since he too is getting teary-eyed but stubborn me, I don't want to. I told him that I don't want to miss this event since during the People Power Revolution I was not aware of what was happening around me. I was only 6 years old when Corazon Aquino was declared the new president. Tears were streaming down my face especially when Kris Aquino gave her speech in behalf of her siblings. You can tell from her message that it was sincere and came from the bottom of her heart. I feel for them because not all of us are aware of what Cory is like as a mother. We only see her on TV talking politics. 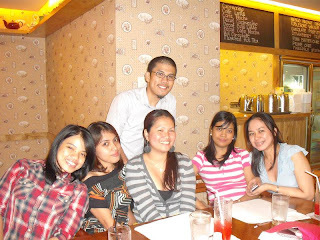 On a lighter note on that day as well, my college friends and I decided to meet up in Glorietta for a brief reunion. We set the get together at 3pm and luckily most of us came except for our 3 friends who are staying abroad. My BF whose name is Joan (as well) was here for a 3 weeks vacation from Dubai. She was accompanied by her husband, Nomer. I was looking forward to seeing their daughter Ayen but they didn't bring her since the rain is unpredictable. 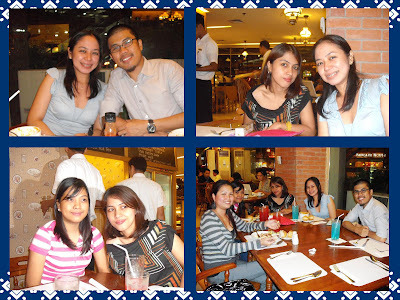 We ate early dinner in Rockfeller in Greenbelt 3 and while waiting for our orders, we talk nonstop. I missed my friends. I missed the times that our only worries is to pass our exam sand thesis. In short life was less complicated compared today. The food that we ordered was so delicious! What's more, we didn't order for their potluck. 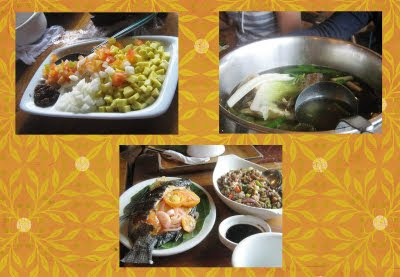 Instead we tried different dishes which is surprisingly we were able to share it with 8 adults and 1 toddler...hehehe. The early dinner was a treat from Joan and Nomer. I can say that Joan never forgets us. It's been like a tradition of her to treat us dinner and give us "pasalubongs" whenever she comes back to Manila. After our early dinner, some of my friends decided to go home since they lived in Sta. Cruz Laguna while the other in Imus Cavite. One needs to go to work (call center) so it was indeed a brief get together. Since me and hubby lived in Makati, we don't want to go home just yet. Same with my BF and her hubby as well. So we went to Glorietta 4 and checked out any new movies that we can watch. Luckily, GI Joe is having an advance screening and we get to watch it! Of course I treat my BF and her husband since that's my simple way of thanking her for being so kind and thoughful all this years. I will be meeting with my BF and Ella this Sunday. I was hoping that we can just hang out in my BF's house since I would like to see her parents who are one of our godparents in our wedding. It's been a long time since I went there and I would like to see my god daughter Ayen who have grown up. I wish she still remembers me...hehehe. 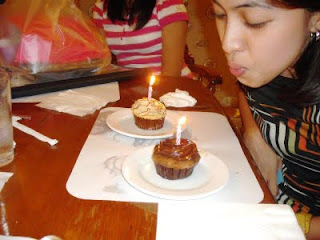 Thank you for those who remembered my natal day. I was overwhelmed that a lot of people that I didn't expect to greet me did. Thanks to the powers of FB and Multiply! Ahahahaha! Special thanks to some relatives of my husband who genuinely cares for me. God knows who you are and I thank you for accepting me (although some doesn't) to be a part of your family. God bless you all! "The great thing about getting older is you become wiser. I don’t have to prove anything to anybody because I know who I am." Today is the birthday of my not-so-little brother. He is 13 years old but geeze his really growing up so fast. His favorite hobbies are playing basketball, surfing the internet and playing DOTA online. 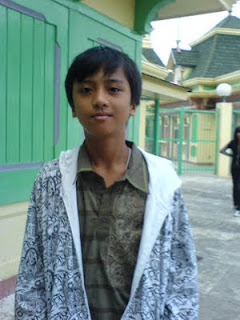 This picture was taken last January 2009. Currently, his 3-4 inches taller than me. In loving memory of former President Corazon C. Aquino, I am encouraging the blogosphere to light a candle for her. Grab the image below, add your prayer for Mrs. Aquino and link up. touched nations all over the world. especially the last months of her life. But everything is well now as she joins you. she is now safe in your kingdom. only to the Filipinos but for the different races around the world. Let her legacy of leadership continues to give us hope in our daily lives. Can't believe it's already August...BER months is just around the corner and I'm looking forward to the Christmas season. I already even made a promise to slowly purchase gifts for my "inaanak". They are like 15-20 all in all and most of them are age under 7 years old so I will be playing the role of Santa for them...hehehe. Malacañang declared August 5 as a special non-working holiday due to the burial of the former President Corazon Aquino. It means that I will not be reporting for work on my birthday...hehehe. A lot of people express their condolences to the Aquino family. Truly, Mrs. Corazon Aquino inspired the world during the historical People Power Revolution that violence is not always the answer in order to get freedom. I hope I can be able to post the story and photos of what happened on my weekend. The internet connection here in Cavite is erratic since yesterday. I'm not sure if this is Globe's problem or there is an issue in the hardware on our side.